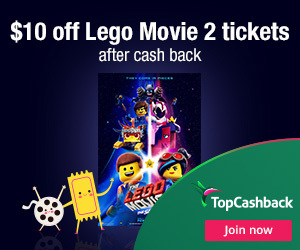 Unfortunately the "Free LEGO Movie 2 Ticket (Worth $10)" offer is no longer available. In LEGO Movie 2, the citizens of Bricksburg face a dangerous new threat when LEGO DUPLO invaders from outer space start to wreck everything in their path. The battle to defeat the enemy and restore harmony to the LEGO universe takes Emmet, Lucy, Batman and the rest of their friends to faraway, unexplored worlds that test their courage and creativity. 3. Add any item or items that totals to $10.00 (excluding sales tax and shipping) to your cart and checkout as normal. Offer valid through February 14, 2019.